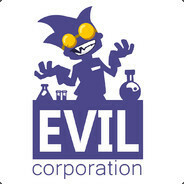 EvilCoGames is an indie developer, giving every title the attention to become a joy product! Music-powered beat 'em up game, is in development now. Was released Early Access on Steam in April 2018. See the Store page: TERRORHYTHM (TRRT) - music powered beat 'em up! The first game by our studio is available on Steam since the September 2017. It's a text turn-based adventure RPG with 24 alternative endings. You can visit Steam page: Star Story: The Horizon Escape. Thank you for visit and enjoy your stay! На Youtube канале GSTV (канал для тех, кто интересуется играми, кино и современными технологиями) cегодня в 20:00 по московскому времени (GMT+3) будет стрим игры Terrorhythm. На трансляции будет присутствовать один из разработчиков, который ответит на вопросы и раздаст несколько подарочных ключей к игре. We're excited to announce that TERRORHYTHM TRRT will be available to purchase on Friday, March 30, 2018! We will be launching the game with -25% discount. Do not spend your time if you'd like to try it out! It's been a long journey, as some of you might have noticed. We would like to thank so much for the support to make the game, and for having patience so we could do it right. So, get ready to meet the TERRORHYTHM TRRT. The core gameplay is a classic beat’em up with numerous enemies attacking the main character from both sides. The success of the battle session depends on how you can catch the rhythm of the background’ musical track and kick the enemies to the beat. The duration of one game session determined by the duration of the musical track playing on the background. One of the most important features we are going to provide is the possibility to upload your own music in game and play to it. Our team was inspired by such games as «One finger Death punch», «Crypt of the necrodancer», «KickBeat», «Guitar Hero» and «Audio Surf 2». But we are trying not only to make a mixture of existing mechanics but also to give some unique features like music-driven level difficulty and scene feedback. We also decided to make a comics to allow you to explore a silent dark city where the game plot takes place. We will post comics regularly on our community pages, and blogs. Hope that with your help we will make TERRORhythm the best it can be. "We are an indie developer, curator and reviewer. NOW working on a logic action game – ARSONIST. We also respect to the games of our colleagues. And we would share our opinion about that games." I do like the Main Menu Music. Once I have some time to play some of the game I will give my opinion. Я пришёл сюда за ключом ))))) , если что я Good spirit .